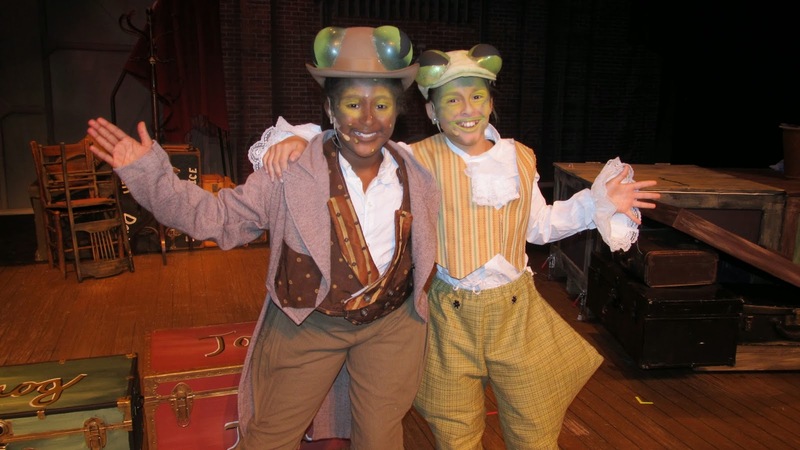 When A Year With Frog and Toad opened on Broadway in 2003, it broke new ground by bringing professional children's theater to Broadway. This weekend, Patel Conservatory Theater students bring this beloved musical to the Straz Center’s TECO Theater for audiences of all ages. Based on the children's stories by Arnold Lobel, with a Tony-nominated score by Robert and Willie Reale, the show follows the woodland adventures of two amphibious friends, a worrywart toad and a perky frog, through four, fun-filled seasons. Performed by students in grades 5 to 8, kids and adults alike will enjoy this charming story of enduring friendship. Director Matthew Belopavlovich was the perfect fit for the this show which pays homage to vaudeville. Belopavlovich’s original clown-theatre piece, LAUFFITI, was presented at the 2012 New York Clown Theatre Festival, and he recently toured with Ringling Bros. and Barnum & Bailey Circus. “The director, his direction and dream he wanted for this show has been so fun and thrilling to be a part of. I have loved bringing his dream to life,” said choreographer Susan Downey. The set was designed by the vertible team of Amy and Tyler Leavitt, who designed the set for PCT’s summer production of Jungle Book. Detailed features include hand-painted floors and an impressive 20-foot custom soaring proscenium that frames the stage. “To walk in the TECO and see the transformation alone is worth it,” said Downey. This is surely one you and your family won't want to miss! The show runs tomorrow, Nov. 6 through Sun., Nov. 9, 2014. For show times and tickets, click here.